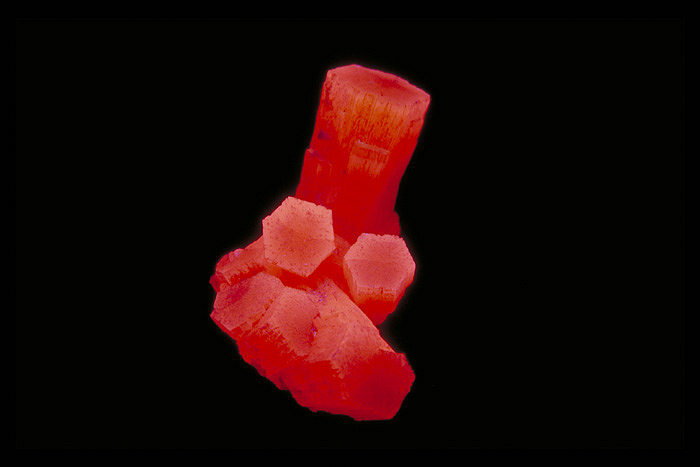 Kunz and Baskerville noted that aragonite fluoresces often strongly during their memorable investigation of 13000 mineral specimens in 1903. 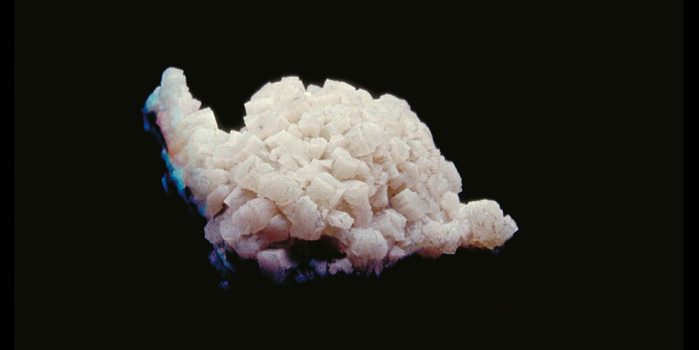 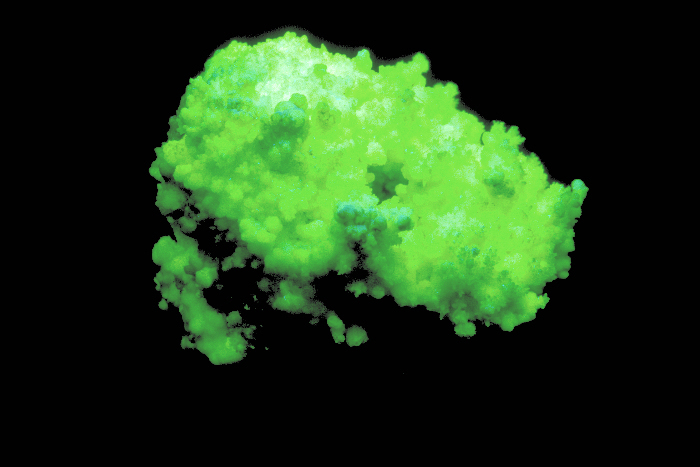 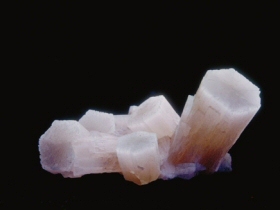 The frequent occurrence of slight amounts of Strontium in aragonite was known during the time of Becquerel and he ascribed the luminescence to the presence of strontium. 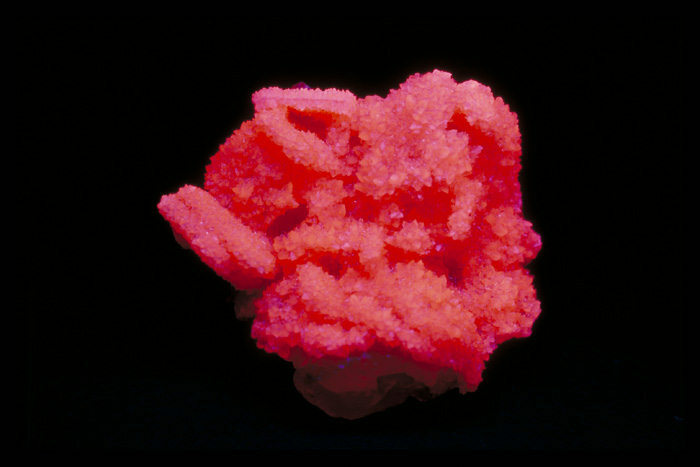 Later, Nichols confirmed the idea. 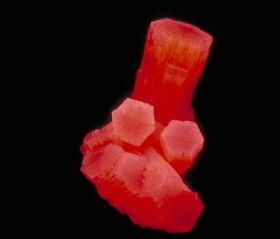 Hence the name strontioaragonite for some specimen of very bright red fluorescing aragonite. 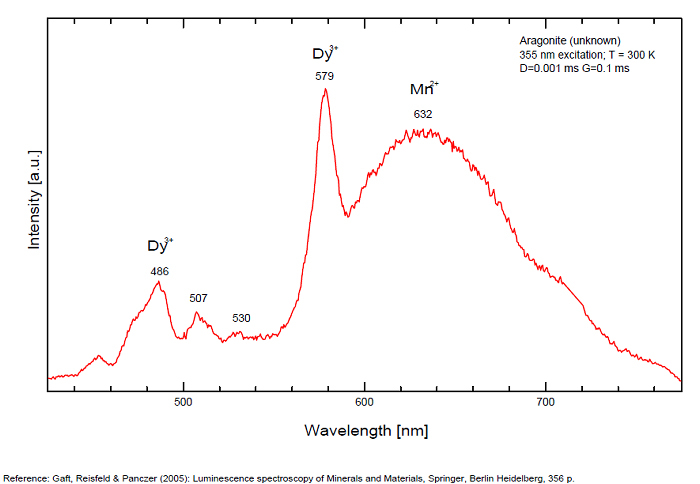 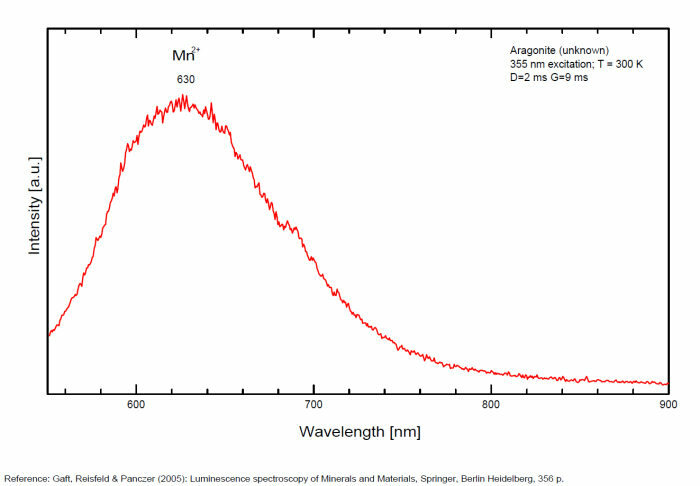 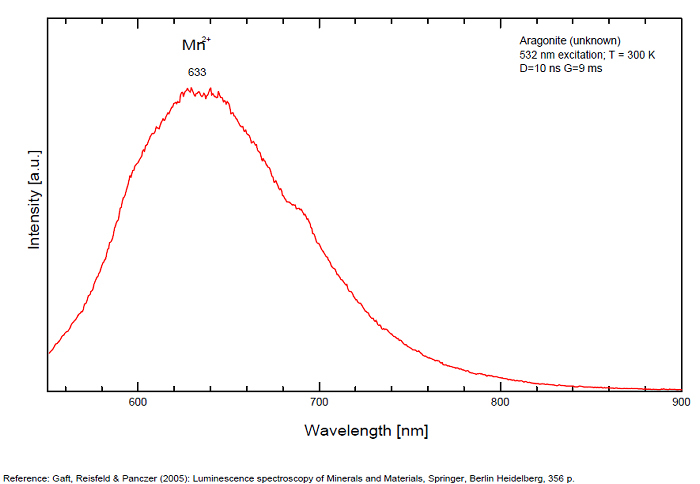 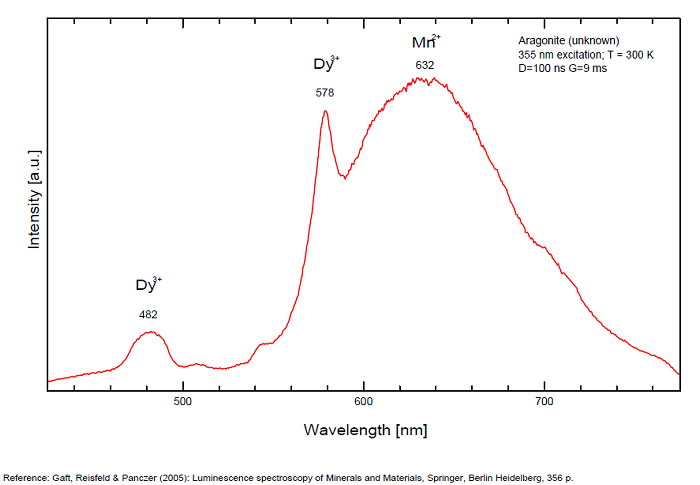 Actually, strontium is not considered anymore as the activator responsable for the red fluorescence of aragonite and Mn is considered as the principal activator of this red fluorescence.